This silk yuzen is a textile from the late Meiji period dating to the late 19th to the early 20th centuries and depicts the shrine at Nikko. Its dyed fine silk velvet and the partly cut pile produce texture and a depth which adds to a sense of perspective. 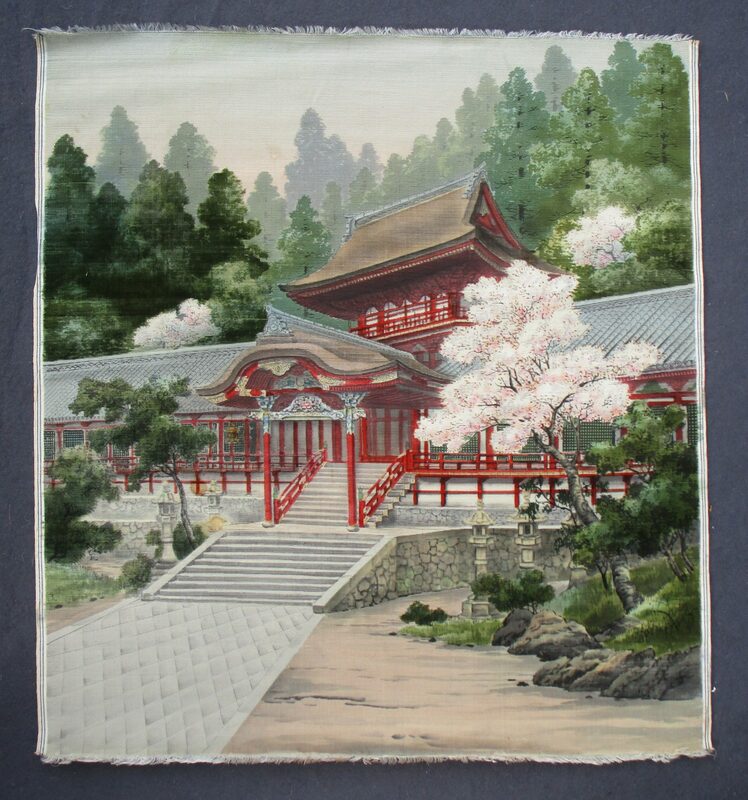 During the Meiji period Nikko became a very popular tourist destination, especially for foreigners after the rise of “Japonism” in Europe from the early 1870s. Photographs and, more importantly, the more expensive textiles depicting the shrine were sought after souvenirs. Our yuzen is a good example of this type. It is in very good condition. 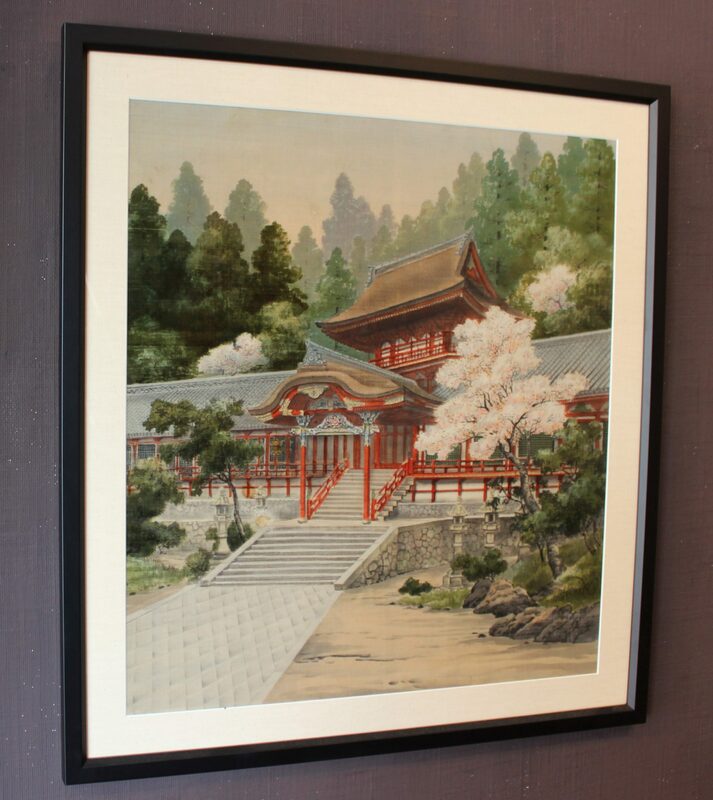 It is professionally framed behind glass, with a textile pass partout, and ready to be hung on the wall as a picture.